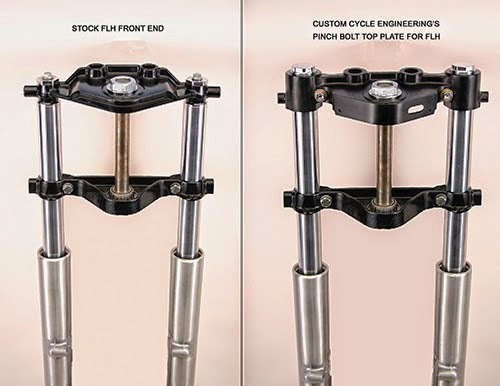 Custom Cycle Engineering continues to develop its range of triple tree options, and one of its latest product launches is a top triple tree for use on Touring models. The company’s 41mm Wide Glide triple tree features a new billet aluminum top plate, which has been designed to replace the old stock steel forged top tree that the Factory has been running from 1950 through 2013 models. 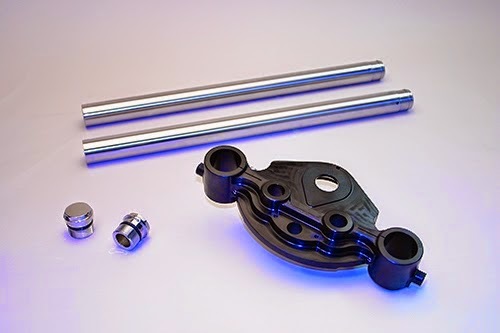 The new top plate is a pinch bolt style and offers over 2-1/4in of clamping stability to the front forks to improve handling, tracking and overall stabilization.